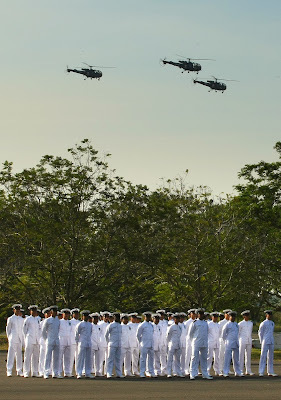 An impressive passing out parade was held today to mark the graduation of the 81st Helicopter Conversion Course at Naval Air Station INS Rajali at Arakkonam today wherein 12 Indian Navy pilots were awarded ‘Wings’ by Rear Admiral BS Parhar, Flag Officer Naval Aviation, Goa. 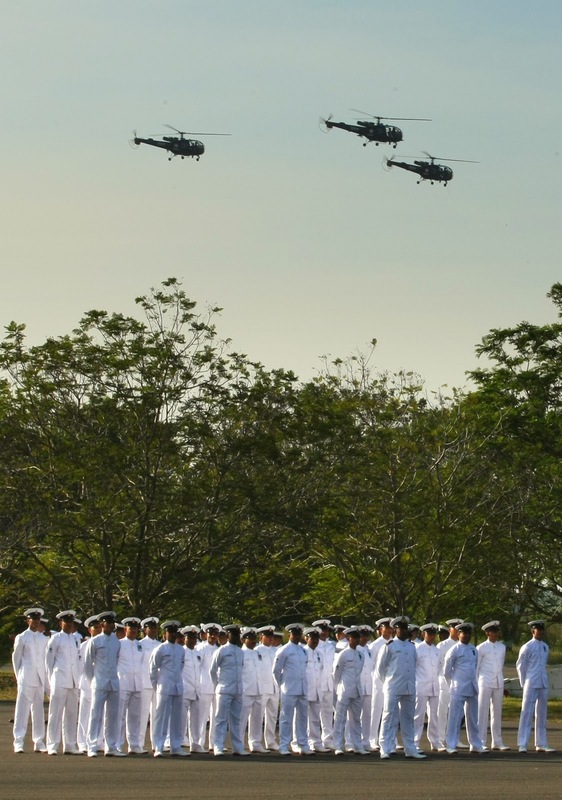 The pilots underwent rigorously training for 21 weeks in flying and aviation subjects at the Helicopter Training School INAS 561 (HTS). 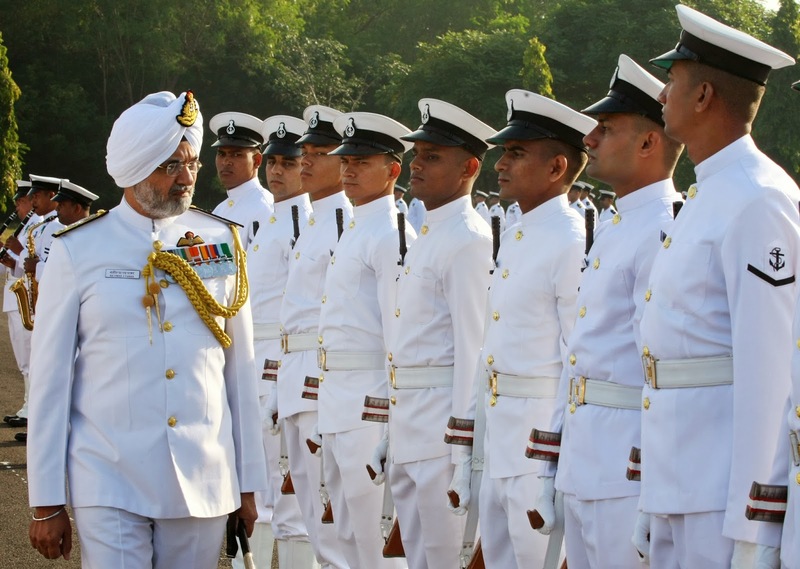 The school has graduated 587 pilots for the Indian Navy and Coast Guard till date and is commanded by Commander Paul Mathew. 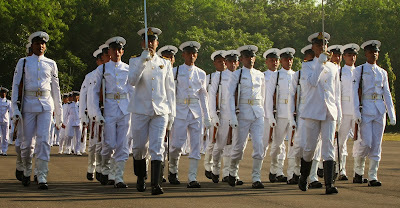 The school was based at Kochi till 1992 and thereafter shifted to INS Rajali at Arakkonam, which is the largest operational air base of the Navy. 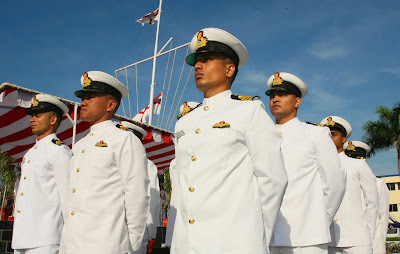 The school has recently obtained ISO 9001:2008 certification and has also been adjudged "THE BEST NAVAL AIR SQUADRON" of the Indian Navy for the year 2012-2013. 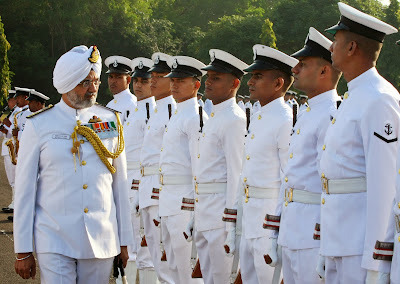 The base is commanded by Commodore Puneet Kumar Bahl. The Governor of Kerala Rolling Trophy for the best all round trainee pilot has been awarded to Lieutenant Commander Anshuman Rana. The Flag Officer Commanding-in-Chief, Eastern Naval Command Rolling Trophy for the trainee pilot standing first in order of merit in flying has been awarded to Midshipman Chaitanya Bhardwaj. A book prize for standing first in ground subjects was awarded to Sub Lieutenant Rajkumar SN. 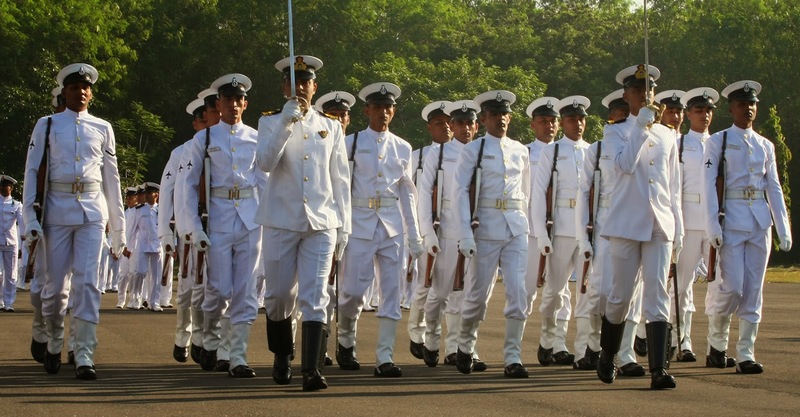 The graduated pilots will subsequently join operational flights at Mumbai, Port Blair, Goa, Kochi and Vizag. Ground school is where you learn the fundamentals of flying. Topics include physics, mathematics, and flight theory. Many San Diego flight schools combine classroom lecture with interactive, multimedia-based lessons. If you are considering getting a pilot’s license, you should check out ground school options at flight schools in San Diego. At ground school, you learn all you need to know to pass the FAA written exam. You need to study the Federal Aviation Regulations (FAR) to earn your private pilot license. Often, you can acquire reading material and textbooks before you start classes to jumpstart your learning. You can read up on the private pilot rating before you attend ground school to help you absorb information more quickly. It’s also a good idea to learn key weather facts and review physics fundamentals, such as electricity, hydraulics, and pneumatics before you start flight school in San Diego.